My blog is officially five years old! It's out of its toddler years and would start kindergarten this fall! The celebration today is twofold, there's my reminiscing on the years gone by and my giveaway for you! Because why receive presents when you can give them away instead! I started blogging when I was just 11 years old, a baby in the world of book blogging. My dad helped me set it up one day, and that was that. In March 2012, I went to my first YA book event. I saw Ally Carter and Rachel Hawkins at Quail Ridge Books and Music. In July 2013 I got my first physical ARC! I won Angel Fire by L.A. Weatherly in a giveaway, and it was a cool feeling to have it in my hands! In September 2013, I got to meet my hero, Sarah J. Maas! 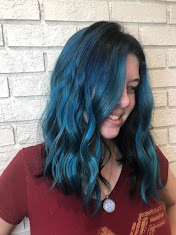 Crown of Midnight had just come out, and my hair happened to match Throne of Glass! In January 2014, I cosplayed as Cinder from Cinder by Marissa Meyer for a school event. And by cosplayed, I mean spray painted my hand and foot. In February 2014, I got to go see the amazing Kasie West, Megan Miranda, Megan Shepherd, and Robin Constantine speak at Quail Ridge! It was so cool to meet these amazing authors, who have all become favorites! Later in 2014, I got to meet many of my favorite authors, such as Jessica Spotswood, Jen McConnell, Kiera Cass, Kami Garcia, Margaret Stohl, Sandy Hall, Joy N. Hensley, Lauren Kate, Robin LaFevers, Stephanie Perkins, David Levithan, Ryan Graudin, and my childhood favorite Margaret Peterson Haddix! In 2014 I also went to my first conference! I went to LeakyCon (which became GeekyCon at the end) and got to meet some of my favorite performers and authors! At the end of the year, I created my first book tree, and they've gotten more extravagant ever since! In 2015, I got to meet so many cool authors! I met Gayle Forman, Renee Ahdieh, Victoria Aveyard, Cynthia Hand, Sarah Dessen, CJ Redwine, Katie McGarry, Marissa Meyer, Rachel Harris, Tahereh Mafi, Ransom Riggs, Veronica Roth, Leigh Bardugo, Josephine Angelini, Richelle Mead, and Alexandra Bracken! That year, I went to three big events. In June, I went to UtopYA Con, and got to meet some of the amazing authors above, as well as learn about a bunch of new ones! In July, I went to GeekyCon and had a ton of fun at one of the best nerd conferences out there! 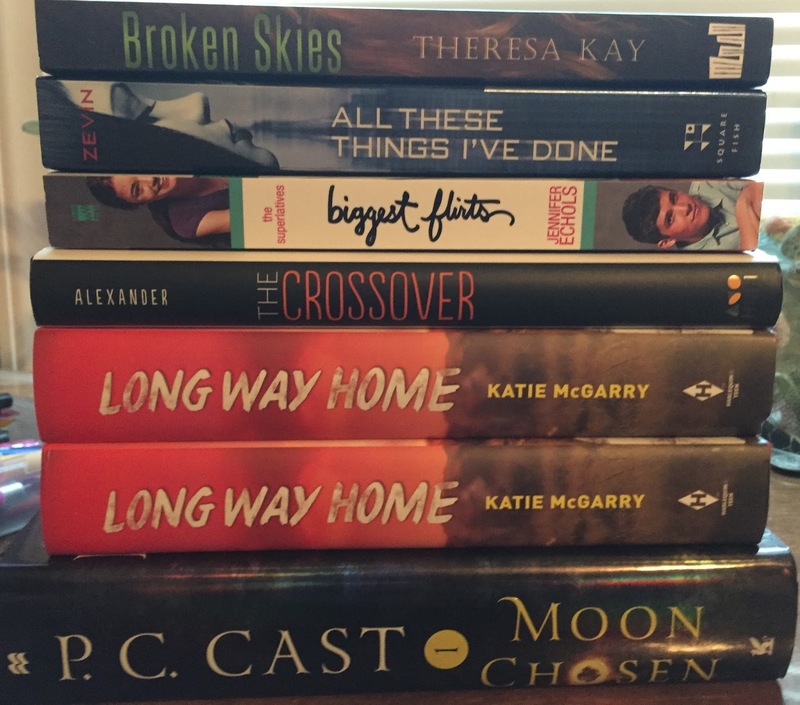 In November, I had a boatload of fun at YALLFest! There were so many cool authors there, and it was a blast to go! 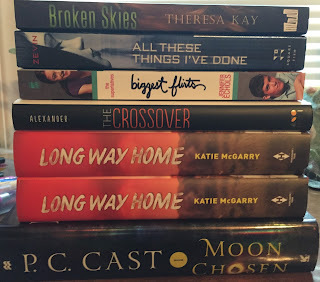 2015 was also the year I joined Teenreads. I'm still part of it, and write reviews and posts as often as I can! In 2016, I got to meet authors such as Meredith Russo, Felicia Day, Sabaa Tahir, Victoria Schwab, Kerri Maniscalco, Nicola Yoon, and Marie Lu! That year, I went to GeekyCon for a final time. It was wonderful conference, and I'm sad it has ended. I also attended ALA that summer, and it was a wonderful experience! I also attended Bookmarks festival for the first time, and it was a blast! So far in 2017, I have gotten to meet so many amazing people! I've gotten to meet some amazing folks like Alwyn Hamilton, Leslie Livingston, Samantha Shannon, Becky Albertalli, Jennifer E. Smith, Brigid Kemmerer, Sophie Jordan, P.C. and Kristin Cast, CC Hunter, and my hero Jennifer L. Armentrout! I know I'll be meeting many more in the months to come, and I can't wait! It's been an amazing five years, and I can't wait for five more! And while you're here, check out the giveaway I'm running on Twitter! Birthdays have never been a huge deal in my life (I've only had one birthday party, when I was 8, which was a VERY long time ago). Now, I just have dinner out so I don't have to cook. Thanks for the chance! I'm INT, so I'd like to enter for the swag. Happy blogoversary!! It is an accomplishment! On my birthday I get to sleep in! Happy blogiversary, girlie! Here's to many more years of blogging!